Mosaic’s Living Myth project seeks to bring the enlightening, transforming and healing power of mythic imagination to a world facing global problems that include both radical changes in nature and massive disruptions of culture. This is accomplished through Mosaic's publishing branches that offer weekly podcasts, an extensive and growing collection of audio, book and video titles and an rich selection of online resources. At the heart of Living Myth is the idea that each person has come to life with gifts to give and something meaningful to contribute to a world in crisis. By living out the story set within our souls, we discover creative ways of serving both the healing of nature and the re-imagination of culture. Myth offers a living library of narratives and symbols that are ancient and immediate at the same time. Thus myth is not a thing of the past but a vital and creative resource for understanding the current struggles of life. Whereas fixed beliefs and ideologies tend to separate and polarize people, the universal levels of myth offer cohering and imaginative narratives that can be contemplative as well as creative. Living Myth reveals the world, despite all its troubles, to be a place of deep imagination and ongoing creation. On this timely and timeless podcast, Michael Meade presents mythic stories that offer uniquely insightful and wise ways of understanding the current dilemmas of the world we live in. Living Myth proposes that genuine solutions to the complex and intractable problems of our world require both transcendent imagination and cohering, transformative narratives. Mosaic Audio publishes the full collection of audio titles by Michael Meade. 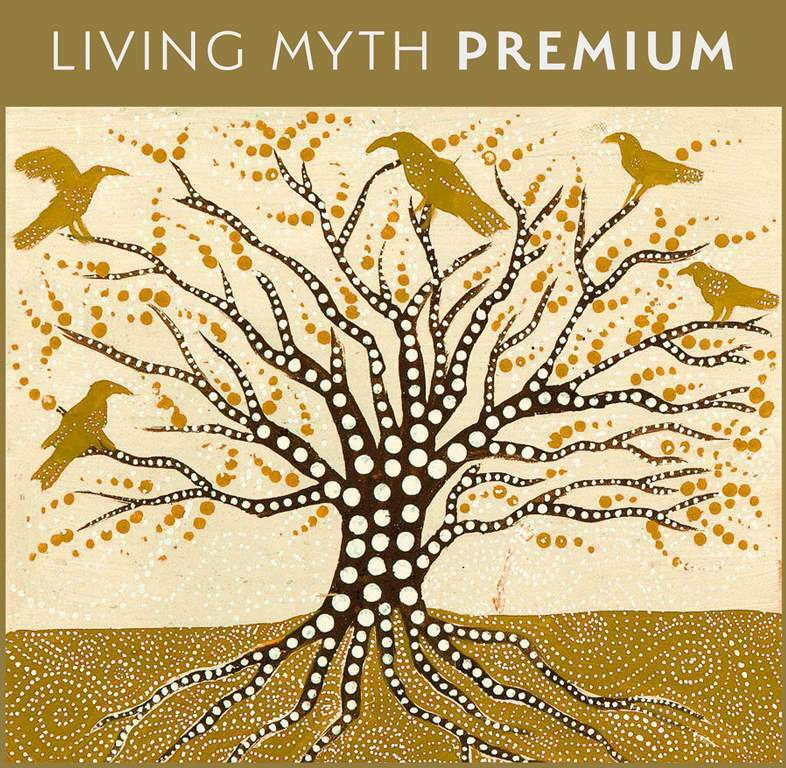 These timely and insightful recordings address a wide-range of issues from the deep and soulful perspective of myth. Greenfire Press publishes the full collection of books by Michael Meade. This growing library of written work brings ancient wisdom to bear on the vital issues and challenges of contemporary times. Mosaic Archives publishes the archival recordings of Michael Meade, as well as his collaborations with other speaks such as Robert Bly and James Hillman. These rare and exclusive recordings capture vital insights and offer surprising wisdom that is as striking, imaginative, and transformative as it was when these recordings were created.